The cement and concrete sectors play an important role in the European economy where the cement demand represents 5 % of the global market. But while cement and concrete are needed for construction and economic development, these materials are the biggest source of waste and the second most polluting industrial sector in Europe. If the European cement sector were a country, it would emit as much CO2 as Belgium. However, significant saving potential of up to 80 % of the emission can be cut in the sector by making use of efficiency measures along the whole value chain without carbon capture and storage (CCS) technologies. These CO2 savings could be achieved for a relatively low financial cost and even with financial savings in some cases. 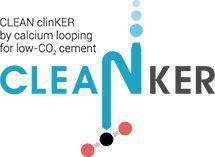 If combining this with CCS, a-close-to carbon neutral cement and concrete sector is feasible by 2050. This is the main finding of “A sustainable future for the European cement and concrete industry”, a new report released on 31.10.2018 by the Swiss Federal Institute of Technology (ETH Zurich) and the Swiss Federal Institute of Technology (EPFL), and commissioned by the European Climate Foundation. It shows that carbon neutrality is not an easy undertaking in the cement and concrete sector in Europe, but is technologically feasible and can be achieved with the support of adequate investments. This will put the sector on track with the Paris Agreement (which creates an imperative for all sectors to keep the global average temperature increase to 1.5°C). The report takes a novel approach by assessing the CO2 saving potential of a whole range of optimisation technologies including circular economy measures like recycling cement fines, concrete recycling, structure optimisation in buildings etc., identifying different stages of the value chain and the corresponding CO2 saving potential, focusing on actions that concrete producers, gravel producers, engineering offices, construction companies or demolition companies can take to make a transformational change in the sector. However, the report underlines the importance of different actors in the construction value chain to work together and the need to get in place incentives targeting all stakeholders in the construction industry. In contrast to this reports results, the European Cement Association’s, Cembureau, is outlining 2°C trajectories by 2050 in their 2013 Low-Carbon Cement Roadmap. The recent IPCC report on 1.5°C, outlines that if the world will have any chance to limit global warming to 1.5°C, carbon neutrality in every sector will be needed, making a 2°C trajectory inadequate. It is therefore encouraging to see that this new report, demonstrates that close to net-zero emission reduction is feasible through a combination and scale up of current technologies and circular economy measures and CCS, but must be supported by adequate investments by both the private and public sector. The construction and demolition waste sector is one of five priority sectors at the EU level for a more circular economy. Efficient use and recycling of materials can play a very important role in decarbonising the sector.